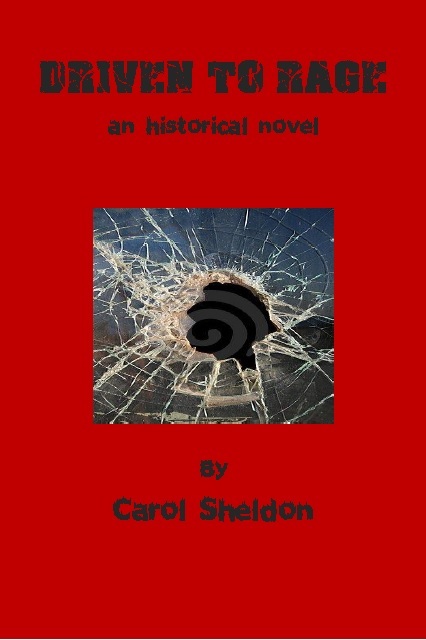 My New Book: DRIVEN TO RAGE | Carol Sheldon writes books exploring times-past through mystery, love, betrayal and murder. When I was in Michigan’s Upper Peninsula in fall of 2011, selling, and giving readings, radio interviews, etc. for Mother Lode, I was asked if I’d write a book about the 1913 miners’ strike, Big Annie (real person,) and the Italian Hall Tragedy. I surprised myself by saying yes. Jumping to the chase, writing that book is what’s been taking all my time. This year is the 100th year anniversary of the events mentioned. Memorials have been going on since last fall. I must get back to the Upper Peninsula, where I’m most likely to garner interest. Of course, I hope people everywhere will enjoy a good historical novel, as they have my first book. The story follows a family through this tumultuous period in history, members of whom take opposing sides on the Labor vs. Management issue. Unions were not even considered by the management of industrial firms. Also, against the background of the mining community, there’s murder, love, brother against brother, betrayal and all the stuff that makes you want to turn the page. Sheriff Earl Foster and a couple other characters you may remember from Mother Lode join us in this new story. And if you haven’t read Mother Lode—no problem; you can still order it. But it’s not necessary to enjoy Driven to Rage. This post is a heads-up. The book should be available by next month. I promise, I will be writing more, so stay tuned, please. And sign up for my blog. You are amazing, Carol. Can’t wait to hear where you got your material for this latest novel! I so enjoy everything you write, especially your one-act comedies, flavored with lol humor.